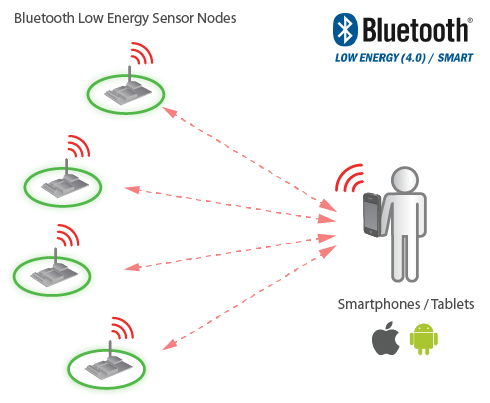 REDWOOD CITY, Calif., SINGAPORE and ZARAGOZA, Spain—April 21, 2014—At the Internet of Things Conference, Libelium launched a Bluetooth Low Energy (BLE) module that connects Waspmote sensor nodes to smartphones, tablets, and all other BLE compatible iOS and Android devices. 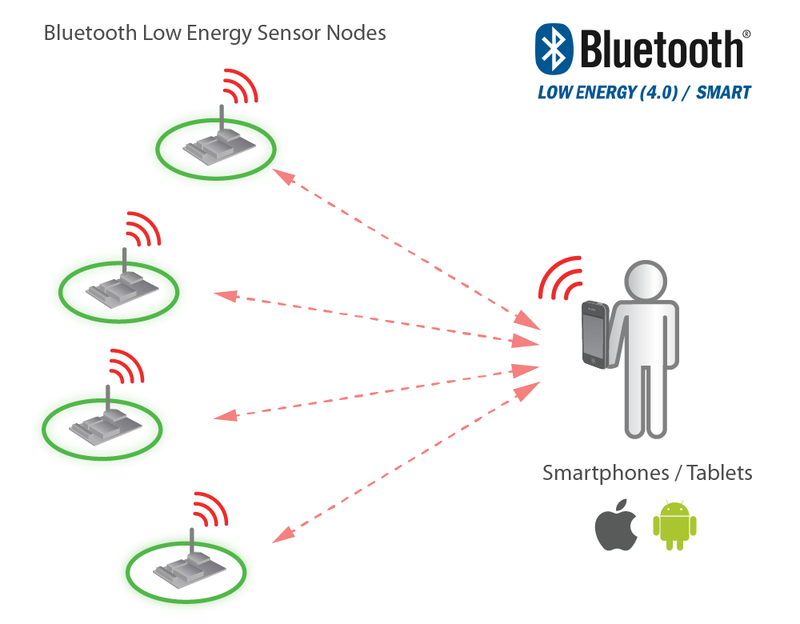 The Bluetooth 4.0 wireless protocol, also known as Bluetooth Low Energy (BLE) or Bluetooth Smart, offers low-energy power management for short-range wireless connectivity that is location-aware, and context-aware. Integrated with Waspmote, Libelium’s BLE module allows sensor devices to function as real time location systems, with encrypted data transactions. The principal function of Libelium’s Waspmote BLE module is to broadcast data advertisements, or iBeacons, that allow sensor data to be transmitted without the need of a previous pairing process. BLE allows any device to connect to the Internet with a smartphone or tablet that bridges data to the Cloud through the Wi-Fi or 3G radio available in the mobile device. A key IoT-enabling platform, Waspmote connects any sensor, using any wireless communication protocol, to any Cloud platform. In addition to Bluetooth Low Energy module, Waspmote interfaces with six radio protocols—including Wi-Fi, ZigBee, 802.15.4, NFC, 3G, GPRS—and allows to switch between any two of these technologies as needed. “We see Bluetooth Low Energy and Bluetooth Smart connectivity as an efficient, energy-saving option for everyday objects and new IoT applications in categories such as home automation, healthcare, retail mobile tracking, and security,” said David Gascón, CTO at Libelium. Consumption: Sleep mode (0.4uA) / RX (8mA) / TX (36mA) BLE features ultra low power consumption that allows devices to remain in service for years. AES 128 encryption used in master/slave mode. BLE allows both encrypted paired transmissions or quick broadcast data transmissions between sensor nodes and smartphones. Accurate RSSI interpretation and timing response. With the ability to calculate distances between fixed points and mobile objects, Libelium’s BLE module is ideal for real time indoor localization applications and mobile tracking where GPS cannot be used. CE / FCC / IC certification; Japan and Korea qualified Libelium’s Waspmote BLE module is certified and ready for deployment in any country in the world. For more information about the Libelium’s new BLE module contact our Commercial Team.